Hello, world! I don’t really have a recipe today, I just had to share my favorite drink/ juice in the summer time. I’ve always loved mint more than any other flavor and since we’ve moved I’ve been in the mint heaven. We’re renting a townhouse that comes with a small backyard full of mint… and I didn’t even know, it was a spring surprise. It’s the most basic and most delicious drink ever. 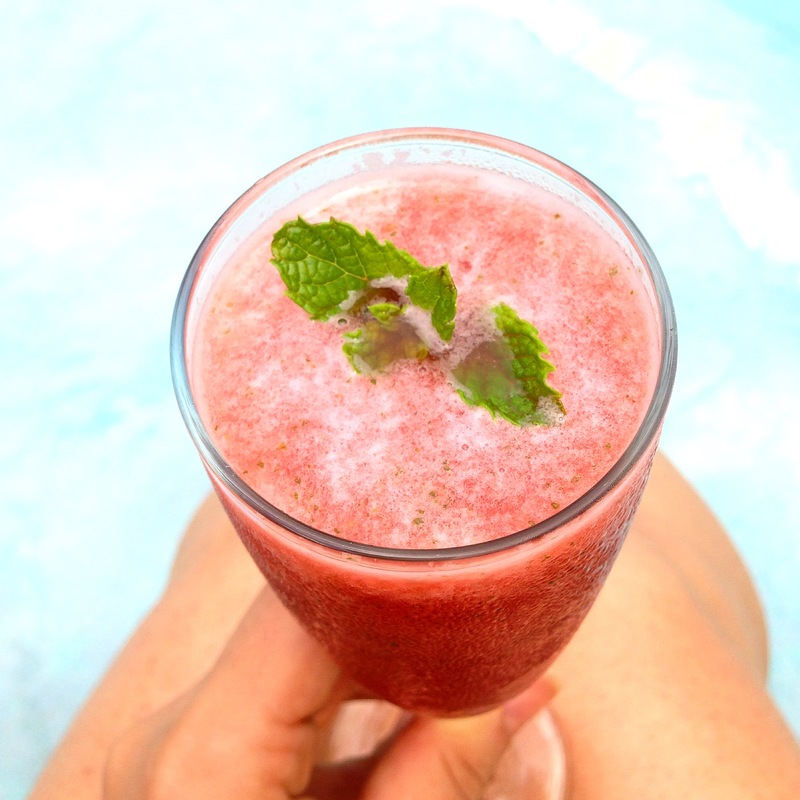 I just chop some watermelon pieces and blend them with some ice and some leaves of fresh mint= HEAVEN! If you’re feeling really naughty add some alcohol, it’s stick to my rose wine. As I type this, I’m cooling my feet in the pool already missing the summer.